ND had 9 total yards of offense in the first half. Not good Weis. Any reader of Dreadnaught knows this is not a Notre Dame blog. The Men of Troy are my team. Thus, if you are a Domer you may want read this post with that in mind. But, be it known, I have nothing but respect for Notre Dame fans. I have been to South Bend and watched games at the Coliseum and without exception found the Irish fans to be knowledgeable, humble in victory, and sportsmanlike in defeat. You deserve a better coach, and much better person than Charlie Weis. He is a petulant Jersey mall rat and wannabe tough guy. His overall record is 28-21, with only 8 victories with teams that finished the seasons with records better than .500. He brags of his vast football acumen and his dominance with the Patriots in the NFL. 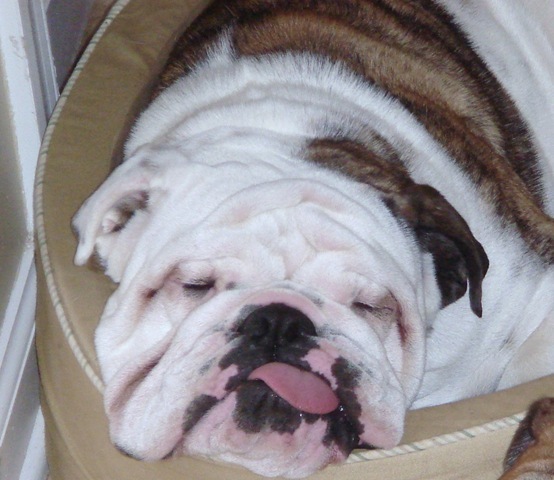 I am convinced that my Bulldog Dreadnought could win in the NFL with Bill Belichick and Tom Brady. And Dreadnought is a great dog, but not all that smart. Weis has coached talented players at Notre Dame, just look at his recruiting classes. 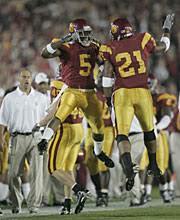 Trojan LenDale White (Thunder) did not have a good week after the Titans first lost. Kevin Ding took him to task, but Jeff Fisher understood. White had 106 yards on 23 carries, with 2 touchdowns. The Titans thumped the Lions 47-10. Malcolm Gladwell has released his new book, Outliers: The Story of Success. Gladwell’s previous two books were Blink and The Tipping Point. 1. What is an outlier? 2. Why did you write Outliers? Washington DC Has Plan To Fix All Its Problems: Rename A Street "Taxation Without Representation Street"
That should do it. No more problems in the District. Murders that “are the second-leading cause of premature deaths among the District population as a whole . . .” are no longer a problem. A 6th-place ranking in a ranking of the most dangerous cities in the United States, is no longer an issue. And, some of the worst public schools in the nation. Fixed. Now, let’s go get those Vietcongs! 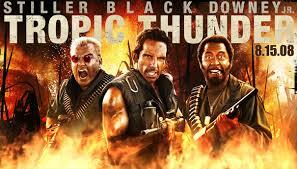 Tropic Thunder is the story of a group of actors making a Vietnam War movie. The story is told in a mocumentry style, think This Is Spinal Tap. The movie stars Robert Downey Jr., Ben Stiller, Jack Black, and has a cameo role played by Tom Cruise. The movie is the story of the filming of the memoir of a Vietnam veteran, John “Four Leaf” Tayback. When the filming runs into some trouble, the director decides to film the movie guerrilla style. The director turns the actors lose in the jungle, where they encounter a heroine gang. The movie plays on a number of Hollywood stereotypes. Tugg Speedman (Stiller) – action-movie star who thinks he is a better actor than he is. Jeff Portnoy (Black) – comedy actor famous for his fart movies, who is addicted to heroine. Kirk Lazarus (Downey) – multiple Academy Award winner, who undergoes surgery to portrays a black sergeant.